The Caballo Lace Flared Skirt is a bright, pretty separate perfect for adding colour to your collection. 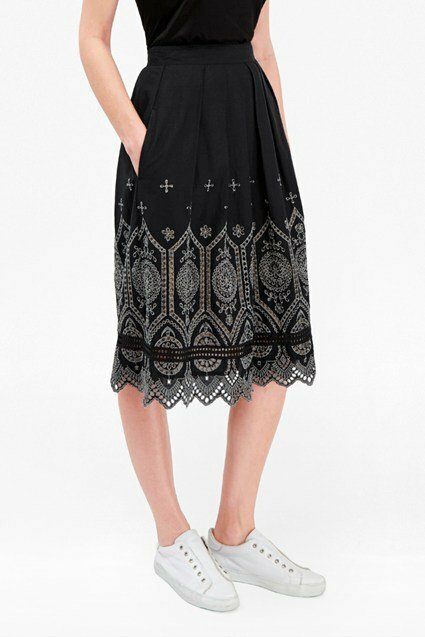 The midi skirt is crafted from sheer lace, with flowers popping out from the skirt to create an eye-catching finish. A bright mustard hue further brings the dainty flowers to life. Pair the pretty midi skirt with its coordinating top for a stand-out summer party look.